If the kitchen is the heart of a home, then the dining room is its soul. More than just a place to dine, it’s a place to gather, to connect, to celebrate and to share. Rather than wait for a holiday or a birthday to gather with our loved ones – we believe in celebrating these small moments everyday. In our ongoing “Elevate the Everyday: Tablescape” series, we spotlight simple ways to make a big impression in the dining room, and help transform your everyday meals into memories. Creating the perfect everyday tablescape may seem like a work of art, but sometimes the difference between ordinary and elevated is as simple as mixing in metallics. Metal accents add depth and elegance to any style or decor. The old ‘don’t mix metals’ adage no longer applies – we’ve seen silver, gold, brass, rose gold and copper play nice together (just take a look below). Remember to keep it simple – here, less is definitely more. 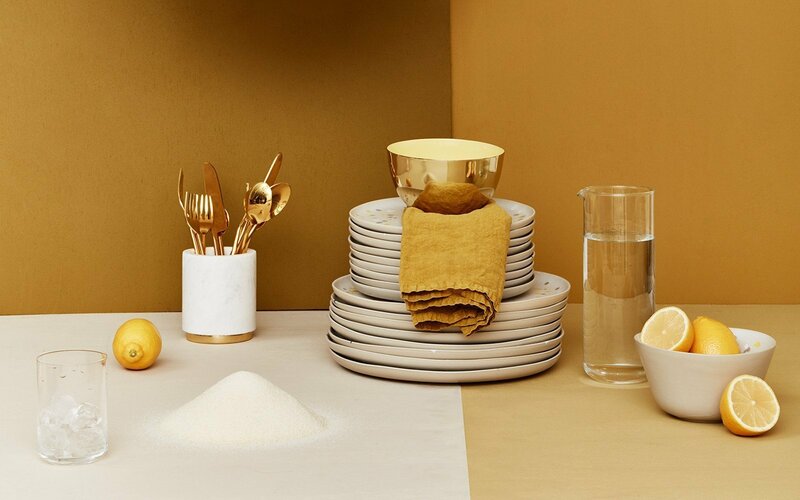 From flatware to bowls, serveware to decor, these are some of our favorite ways to add metallics to the mix. "Metal accents add depth and elegance to any style or decor."